waxlessness. 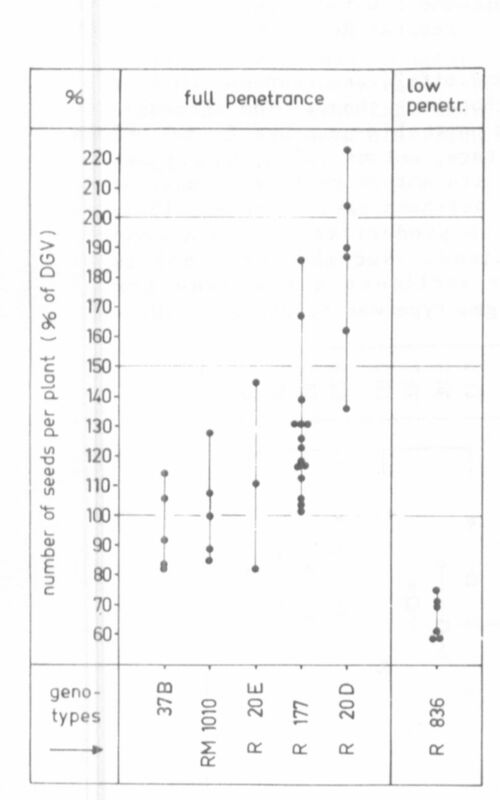 The seed production of this genotype was relatively low. generations. Each dot is the mean value for one generation. ing a multiple allele of bif-1. of bif-1 positively or negatively. Some examples are given in Fig. 2.
but the seed size is reduced. the completely stabilized penetrance of bif-1 in this combination. 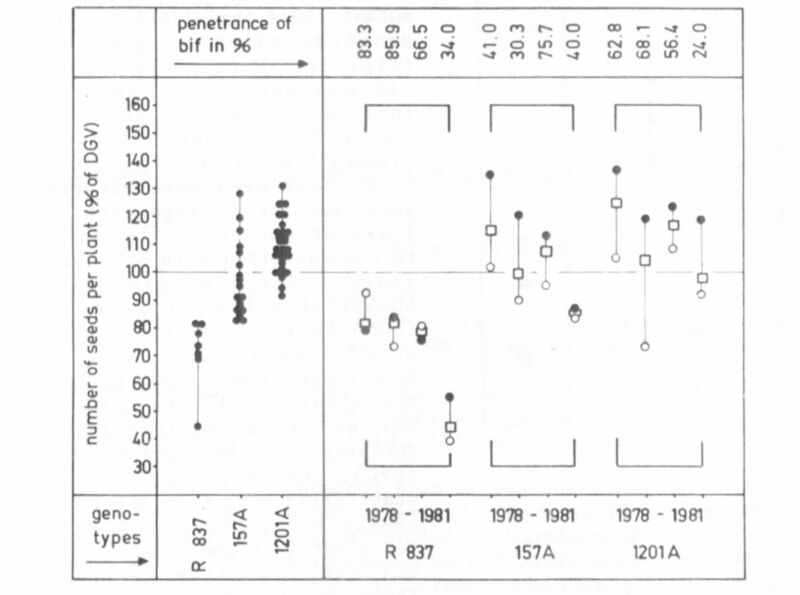 of the gene for waxlessness on the penetrance of bif-1.